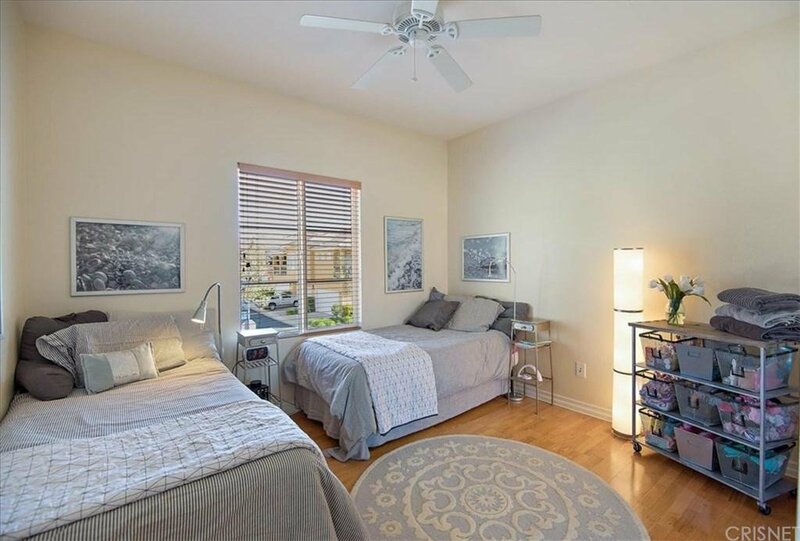 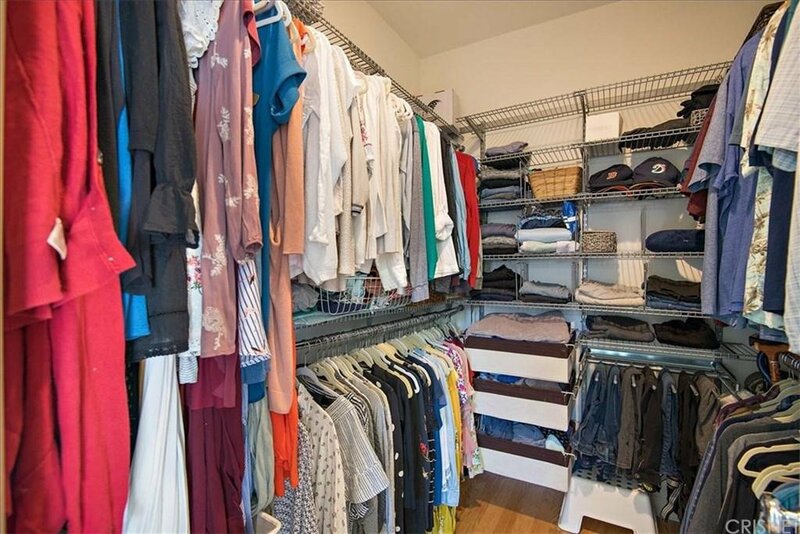 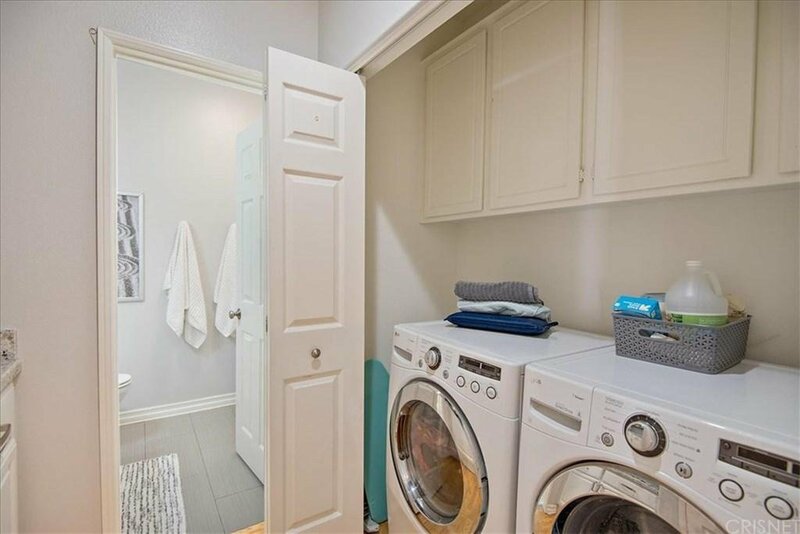 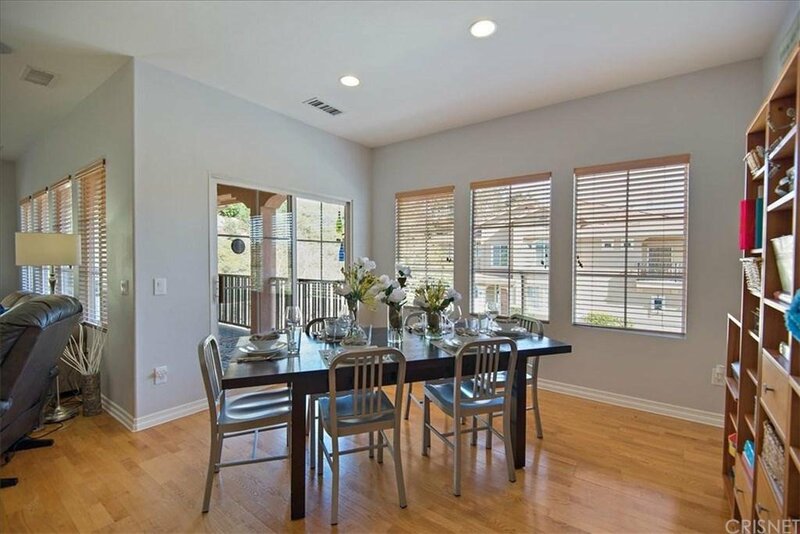 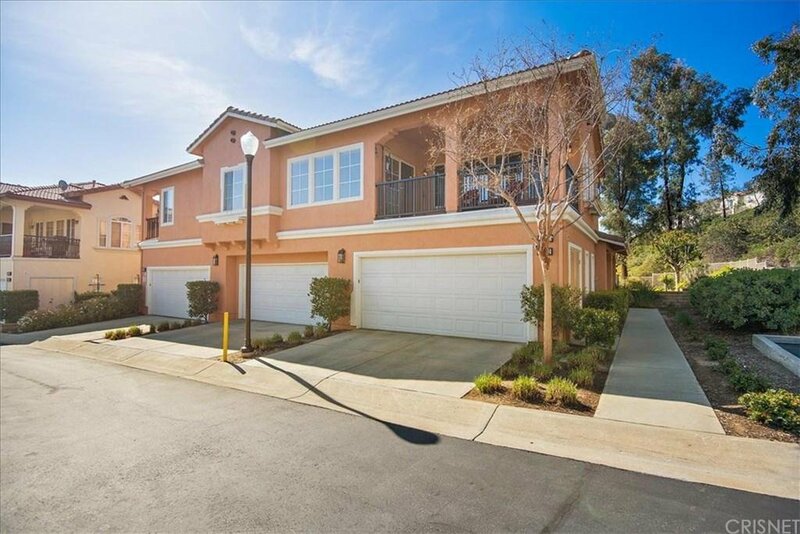 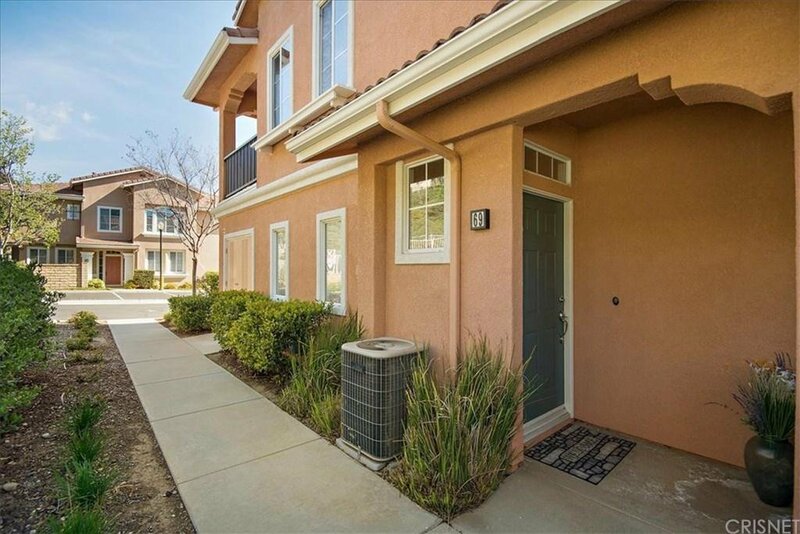 GORGEOUS & UPGRADED townhouse located in the beautiful Valencia - Cornerstone community. 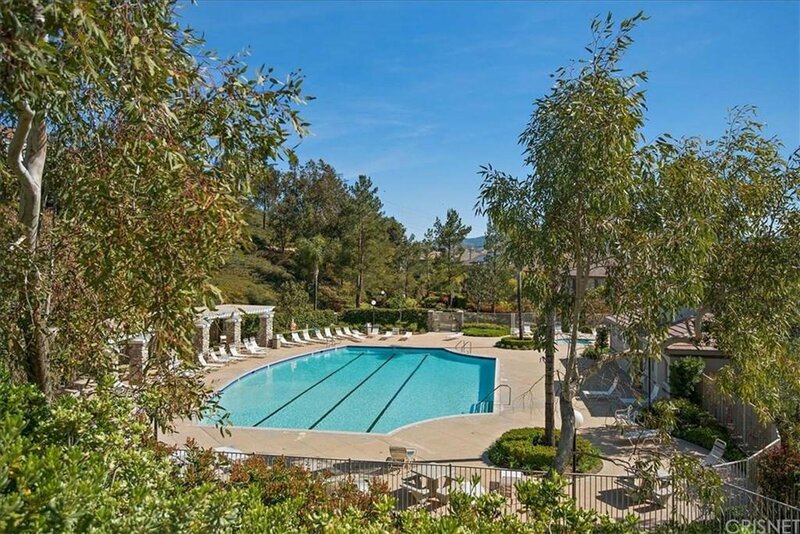 This DESIGNERS DREAM is perfectly located w/PRIVATE ENTRY corner unit surrounded by beautiful landscaping. 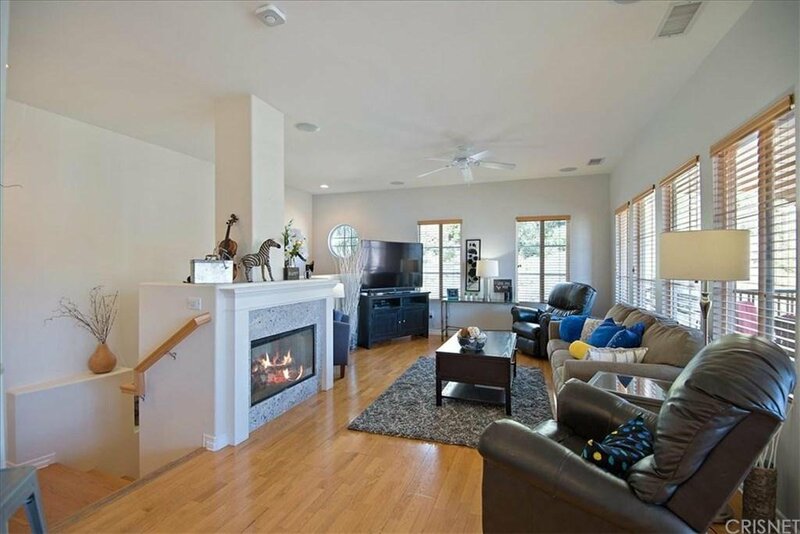 Inside you'll find a WONDERFUL floor plan w/large living room beaming with lots of natural light, and a cozy fireplace for perfect AMBIANCE. 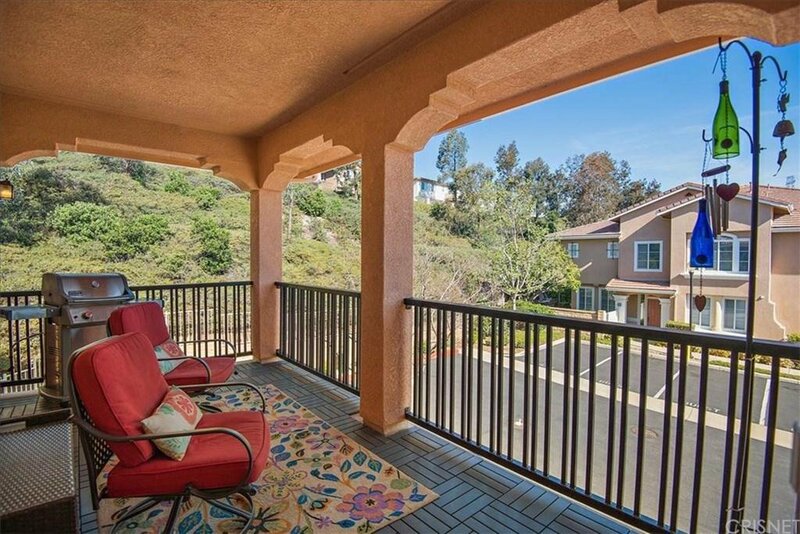 The dining room provides deck access for relaxing while enjoying TRANQUIL views. 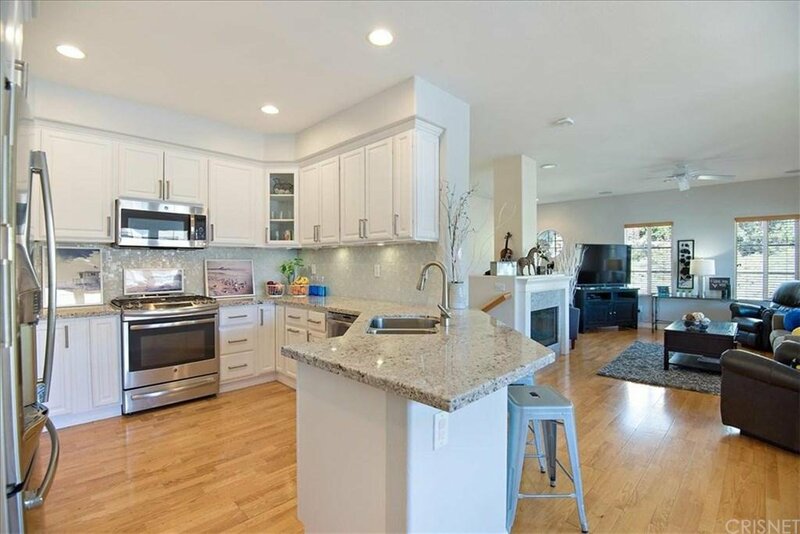 The GORGEOUS remodel is highlighted by an UNBELIEVABLE kitchen with gorgeous granite stone countertops, custom glass etched backsplash, wonderful white cabinets & stainless steel appliances. 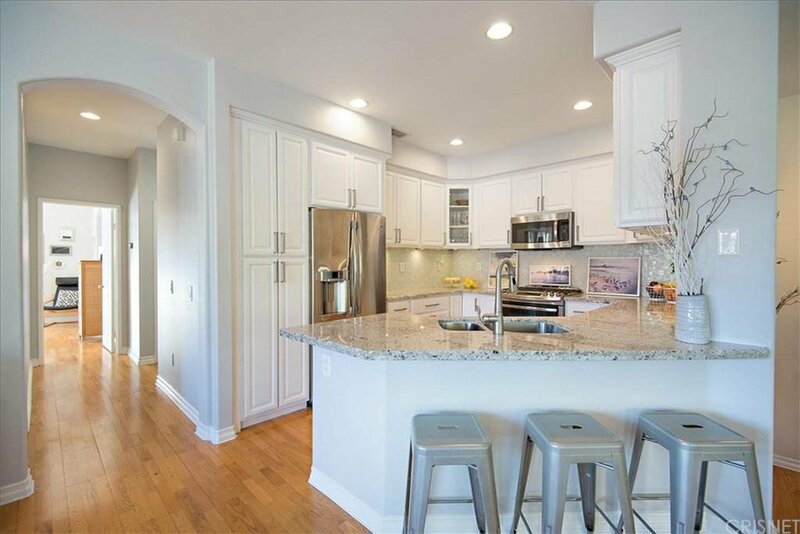 Hardwood flooring, large base & trim & designer paint feels like you're touring a model home. 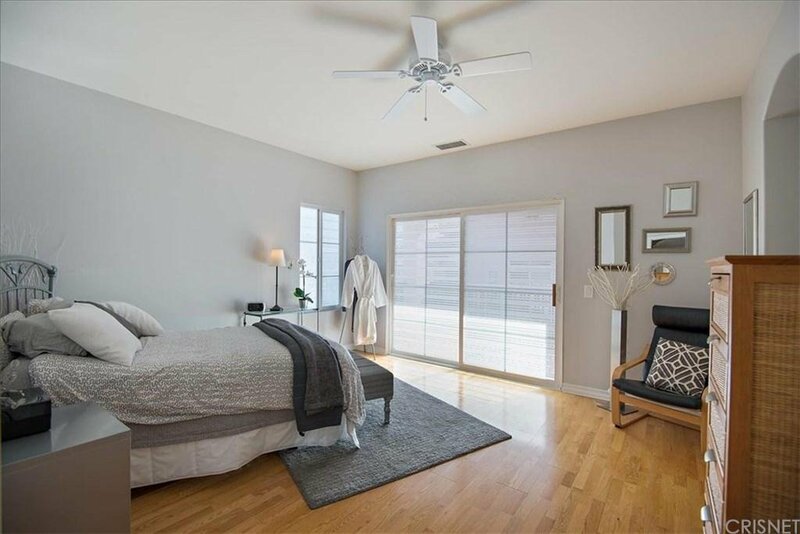 HUGE MASTER bedroom with remodeled master bathroom including new tile flooring, vanities, sinks, fixtures & mirrors. 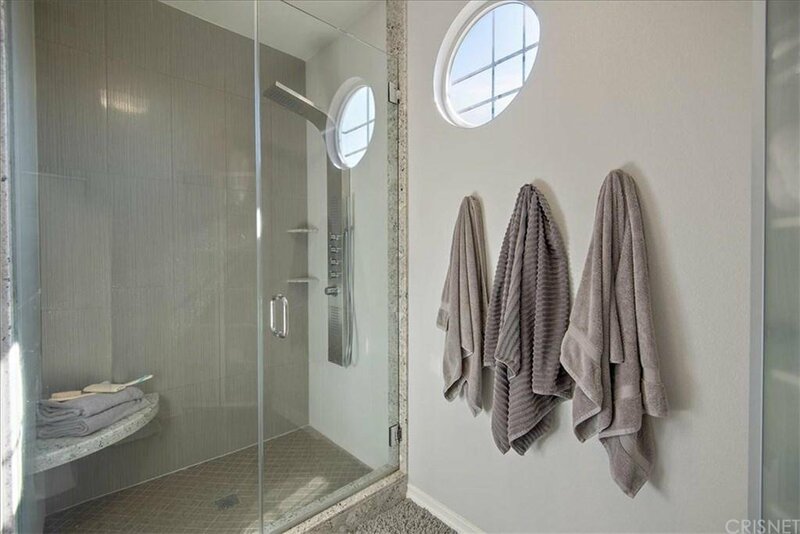 STUNNING oversized shower with custom tile & fixtures will make you fall in love & realize how special this home truly is. 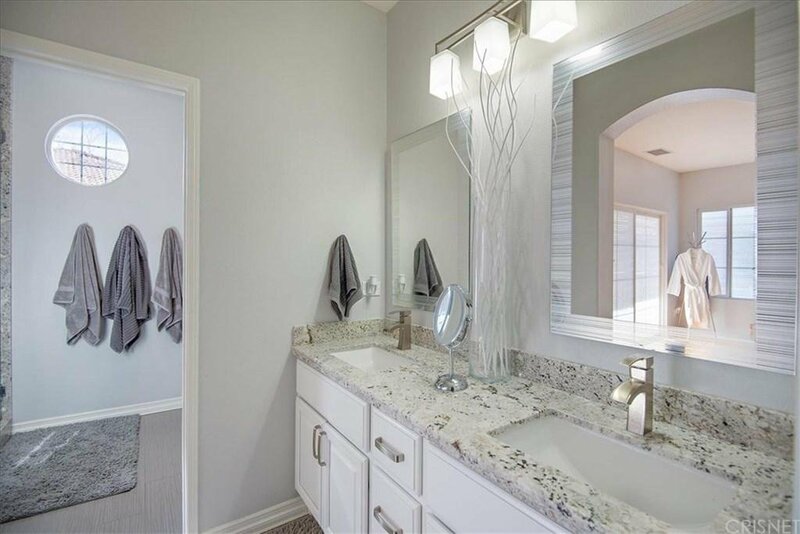 NO MELLO ROOS and is FHA approved, and perfectly located in Valencia close to award winning schools, tons of shopping & amenities. 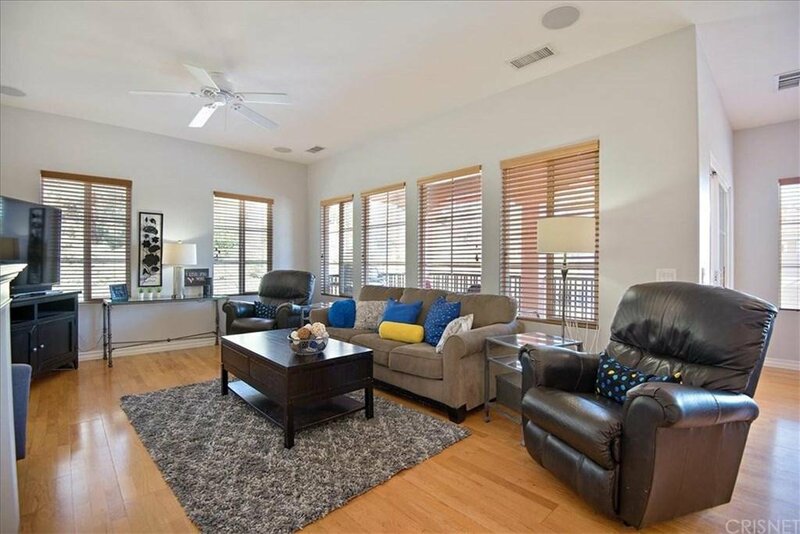 This home will sell fast so hurry & prepare to fall deep in love.